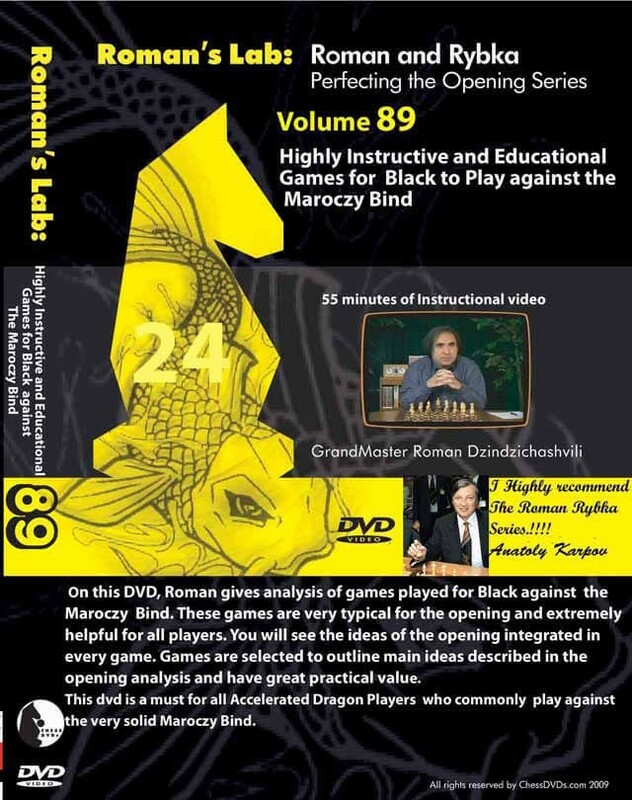 On this DVD, Grandmaster Roman and Rybka gives a thorough analysis of games played for Black against the Maroczy Bind. These games have been selected by Roman because they are very typical for those that feature the Accelerated Dragon: Maroczy Bind and extremely insightful for players of all skill levels. You will see the key ideas of the opening integrated in every game. Upon completion of this DVD, you will have a strong understanding of the main ideas of the Maroczy Bind and learn how to refute White's attempts. This DVD is a must for all Accelerated Dragon Players and any player looking to expand his defensive repertoire with the black pieces.